Add these big head lights to your golf cart. Big golf cart head lights for powerful night vision. 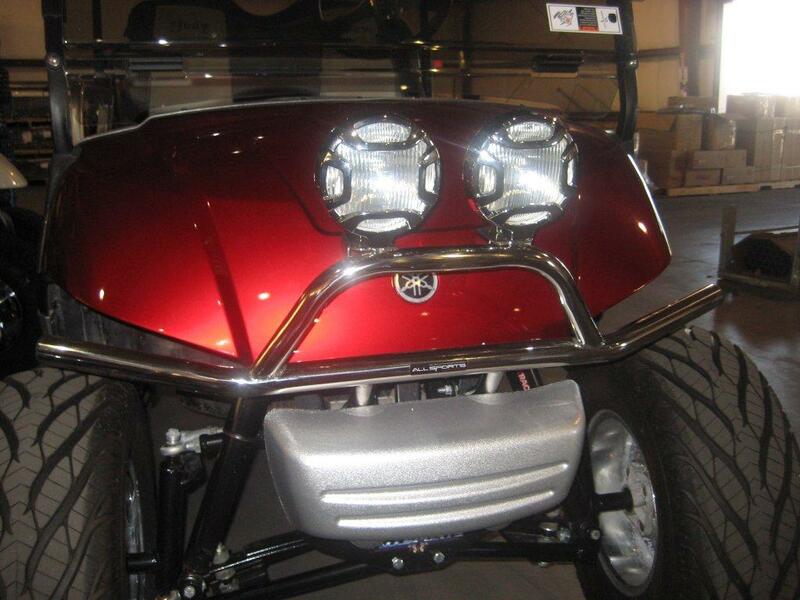 --The golf cart head light set is designed to be mounted on the Sport Runner front golf cart brush guard toward the side as pictured above. The lights can also be mounted to the Mega Sport Runner brush guard as shown in the picture on the right. There are tabs on these golf cart brush guards on which the lights are mounted. --The lights can be mounted anywhere on the golf cart where there is a tab mounting bracket. --The head lights are a complete kit with all hardware. 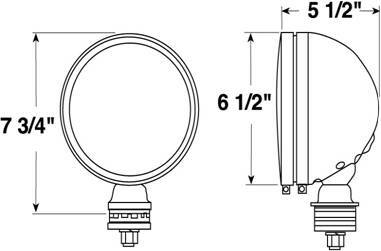 --The head light frames are 6 1/2" in diameter. Please see the diagram below. --The bulbs are 100 watt Halogen bulbs. --The golf cart lights come in chrome finish. --A set of two lights. --A voltage converter to enable the 12 volt charge across the full battery bank is highly recommended when the golf cart has one or more electric accessories. See below for the voltage converter.